130 representatives of 70 Russian and 40 international companies from 29 countries (Austria, Azerbaijan, Belarus, the UK, Hungary, Germany, Greece, Egypt, Indonesia, Jordan, Iceland, Kazakhstan, China, Luxembourg, Morocco, Moldova, Nigeria, the Netherlands, UAE, Jersey, Panama, Poland, Republic of Korea, Slovenia, the US, Tajikistan, Uzbekistan, France and Switzerland) have already confirmed that they will be participating in the Russian Energy Week International Forum on 3вАУ6 October at Moscow Manezh Hall, in addition to official delegations from Venezuela, Sri Lanka, Angola, Qatar and South Sudan. вАЬParticipation in the Forum by the Oil Industry Minister of the Bolivarian Republic of Venezuela Manuel Quevedo, Minister of Petroleum Resources Development of the Democratic Socialist Republic of Sri Lanka Arjuna Ranatunga, Minister of Energy and Water of the Republic of Angola João Baptista Borges, Minister of Energy and Industry of Qatar Mohammed Bin Saleh Al-Sada and Oil Industry Minister of South Sudan Ezekiel Lol Gatkuoth, as well as OPEC Secretary General Mohammad Barkindo, will help take our discussion of the future of the electric power industry to a new level. We are looking forward to a fruitful dialogue on seeking solutions to the key issues facing the global energy industry today,вАЭ Russian Presidential Advisor Anton Kobyakov said. 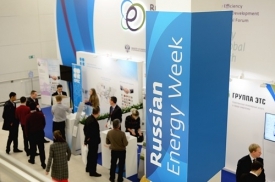 Russian and international business figures who have confirmed participation in the Russian Energy Week include Gazprom Neft CEO and Chairman of the Management Board Alexander Dyukov, Rosatom State-Owned Nuclear Power Corporation CEO Alexey Likhachev, PAO Promsvyazbank Temporary Administration Head Petr Fradkov, Rosnano Chairman of the Management Board Anatoly Chubais, Eurasian Development Bank Chairman of the Management Board Andrey Belyaninov, OOO Siemens President and CEO Dietrich Moeller, and ExxonMobil Russia Inc. President Glenn Robert Waller, among others.